Microsoft is ending support for Windows XP on April 8. While you’re technically free to keep using the 12-year-old operating system, doing so may put you at greater security risk for attack as future vulnerabilities go unpatched. In Microsoft’s perfect world, most users will take the opportunity to switch to Windows 8, even if it is a drastic change from Windows XP. But you don't have to go that route. 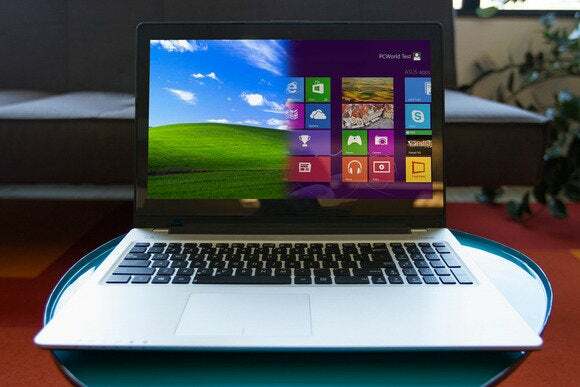 Although Windows 8 has plenty of redeeming qualities, there's nothing stopping you from adopting Windows 7 instead. We won't make the decision between Windows 7 and Windows 8 for you, but if you do decide to heed Microsoft’s nagging post-expiration pop-ups, we can help you pick the right operating system for your needs. The biggest benefit to Windows 7 is familiarity. The pop-up Start menu is still intact, and the basic functionality is similar enough that you don't have to relearn much. You can even make Windows 7 look like Windows XP with just a few tweaks. By comparison, Windows 8 (and the sweeping Windows 8.1 update) has a steeper learning curve. Microsoft got rid of the pop-up Start menu and replaced it with an app launcher that takes up the entire screen. This Start screen is filled with new kinds of apps that are optimized for touch interaction. While the desktop is still available, you may find yourself getting bounced back and forth between the two interfaces. Crucial system commands are hidden in invisible "Charms" and "Hot Corners" that only appear when you move your mouse to certain points on the edge of the screen. Summoning the hidden menus becomes second nature once you're using to it, though there's certainly a learning curve to the unfamiliar system. Likewise, you can bring back some familiarity to Windows 8 with settings tweaks and third-party software, but it’s a much more laborious process. Windows 7 is the safer bet if you want things to stay pretty much the way they are in XP, or if you're buying a new PC for an XP-using relative. Windows 7 also has the benefit of being a highly refined, complete operating system. From the start, it was a vast improvement over Windows Vista, rather than a complete reinvention that introduced new problems. And since its launch in 2009, it has received a major Service Pack upgrade and countless bug fixes. Windows 7 isn’t perfect by any means, but unlike Windows 8, it doesn’t feel like a work in progress. To say that some users dislike Windows 8 would be putting it lightly. The drastic interface changes have polarized critics and alienated mouse-and-keyboard users, who feel Microsoft put too much emphasis on touchscreens. The default Windows 8 and Windows 8.1 (pictured) Start screen looks nothing at all like Windows XP and hides important commands behind invisible controls tucks into corners. The traditional Windows desktop is available in the new-look Windows 8. While it lacks Windows' iconic Start menu (for now) and you have to travel through the app-filled Start screen to get there (again, for now), those concerns will one day melt away, as Microsoft is trying to address PC users' biggest Windows 8 complaints through software updates. And if you can keep an open mind, Windows 8 brings lots of benefits, even without a touchscreen PC or tablet. Some of those benefits are subtle or under the hood. 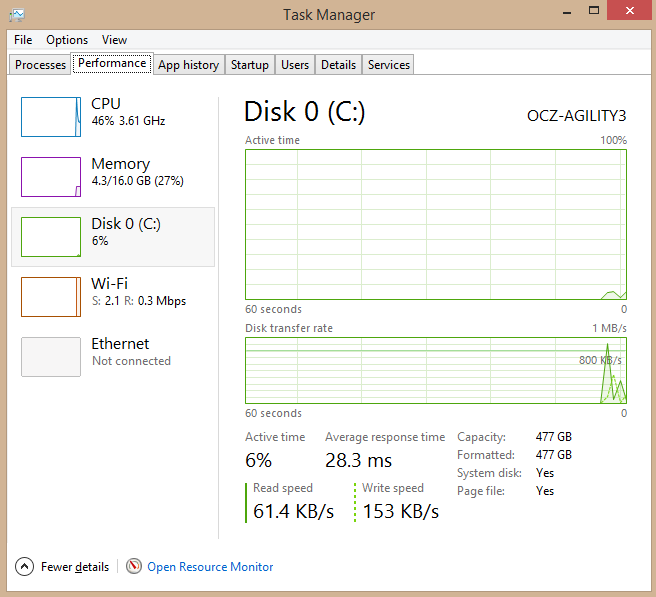 Startup and shutdown times are much faster in Windows 8, and overall performance is slightly improved. Virus protection is now built into the operating system, so you don't have to download Microsoft Security Essentials or pay for an antivirus suite, and a new secure boot option is enabled by default. Windows 8 also adds some more tools for desktop users, such as a new file transfer dialog that combines everything into a single window and provides a pause button. 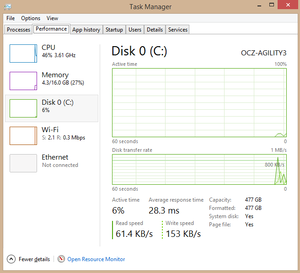 The task manager has received a complete overhaul as well, with a cleaner look, stats on disk and data consumption, an app history view and a better way to manage programs that run on startup. If you use multiple monitors, Windows 8 has multimonitor features built-in, so you don’t have to buy third-party software. File backup tools are also much improved in Windows 8, with a way to save a full history of your documents, music, photos, and videos folders. 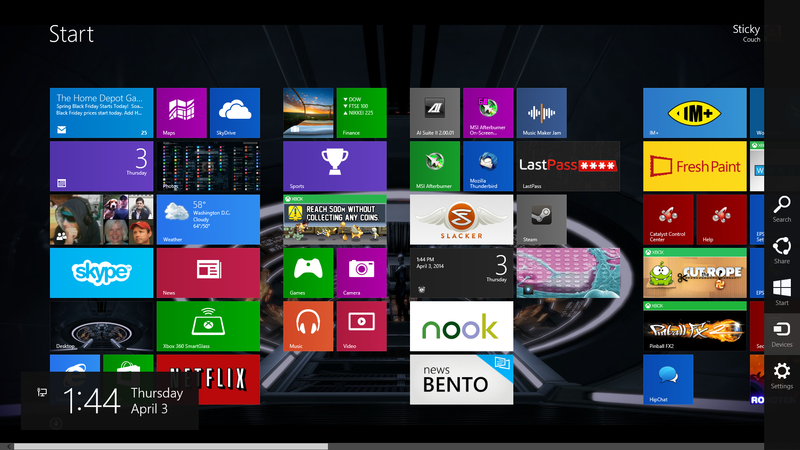 If you aren't afraid of the new interface of Windows 8, you may even find some uses for its modern-style apps. A full-screen text editor, for instance, can be a great way to tune out distractions, and the ability to "Snap" multiple apps side-by-side is helpful in all kinds of situations, such as pinning a calculator app right next to your Excel spreadsheet. There's also the hardware to consider. It’s not a challenge to find Windows 7 PCs online, and you can still buy copies of Windows 7 from retailers if you’re building your own PC. But overall, the selection of Windows 8 hardware is much broader, from super-cheap laptops to thin-and-light Ultrabooks. Just to sweeten the deal, until June 15 Microsoft will give you $100 to upgrade to a Windows 8 machine. You’ll also be able to take advantage of newer hardware, such as Intel’s battery-efficient, fourth-generation Core (Haswell) processors. Downgrading to Windows 7 on a new PC is an option, but not from standard Windows 8. For that, you need to be running Windows 8 Pro, which adds to the total cost of your new computer. Also, if you’re just now migrating from Windows XP, perhaps you’re not the type who likes to upgrade often. Keep in mind, then, that Windows 7’s extended support ends in January 2020. Windows 8 offers extended support until 2023, so you’d have an extra few years before we have to repeat this whole exercise. Finally, some older Windows XP machines might not even be able to run a modern operating system. If you have a PC that doesn't meet the Windows 7 or Windows 8 system requirements—be careful with those little details!—check out our guide to easy, lightweight Linux operating systems designed to allure to Windows XP refugees.